The mystery owners behind Barbados-based Island Fortitude – which until recently was the UK’s biggest privately-owned coach operation, having bought several coach operators in the UK – have decided to end their investment in the country. Mel Holley reports. It’s a story of big aspirations, but one that has also seen allegations of broken promises and ultimately resulted in the end of famous names and the loss of jobs. The full story has yet to be told, and remains steeped in intrigue and mystery, but the latest twist in the saga has seen Staffordshire-based Bakers Coaches stop trading due to a winding-up order, with a phoenix firm immediately arising from the ashes, leaving behind a pile of debts. There are many rumours, but the facts are clear. An opportunity to acquire a route to market by buying coach operators – some of which also ran buses as a smaller part of their operation – was perceived as a way of getting King Long coaches and buses on the road. Now, the story has come almost full circle as Bakers Coaches of Staffordshire, one of the first acquisitions in summer 2013, stopped trading on 21 April. By now, its owning company – previously Guideissue Ltd, changed in January to After Sales Garage Services Ltd – had a winding-up order made against it on 20 April. The following day a new firm, Bakers Travel Ltd, took over – from the same premises, with the same staff and vehicles and an application for a new O-Licence, but none of the debts. The firm continues to operate, but as the new O-Licence has not yet been granted, it is unclear whose discs are being used. Phoenix companies are common in the truck industry, but less so in coach and bus. It’s legal, but pushes at the limits of acceptability, especially as it leaves staff with no recourse, and creditors with little or no hope of seeing their funds. Linking all of this is Island Fortitude, which owns the previous and ‘phoenix’ company, plus the King Long dealership in Coventry and a host of other UK coach operators. Based in Barbados, it is a ‘brass plate’ company, with a nominated office on the island which acts as a ‘post box’ for a host of other offshore companies, yet has no physical presence. The owners, and sources of finance, or indeed motives for entering the uniquely individual world of coaching, have never been disclosed and are a closely-guarded secret. However, two people – Ray McNally and Paul Bicknell – appear to act for the body, and have often spoken on its behalf. They have never explained their relationship with Island Fortitude, or if they have any financial or other interest in it. Indeed, the convenience of such an offshore arrangement means that what sort of entity Island Fortitude is cannot be established. It is not obliged to publish anything publicly, including details of owners, director or accounts, and so far has not done so. 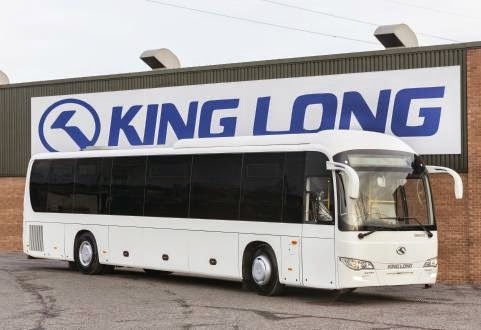 Chinese-based King Long is a large coach and bus manufacturer, with a separate dealership arrangement for continental Europe. Its first vehicle arrived in the UK in 2005, imported by Coventry-based Autoholdings, which at that time also imported BMC buses and was run by Paul Nicholson. After a complex series of name and company changes, Coventry-based Kinglong Direct Ltd was incorporated in 2008 and took over the import arrangements, initially with Clive McNally as Chairman. It is owned by Island Fortitude and its current directors are Ray McNally and Paul Bicknell. Both were subsequently revealed to have a criminal past (routeone, News, 28 January), but Mr McNally says he “has an appeal going through” and both say they regret their previous actions. While King Long vehicles are competitively priced, deliveries have been running very late since 2014, to the chagrin of some who ordered them, and vehicles have been held for months in UK ports awaiting customs clearance. The importer has also changed its name twice; although it still trades as ‘King Long’, the company has re-registered itself as Homologation And Type-Approval Specialists Limited, the latest change being on 7 April. Its future is uncertain as it is the subject of a Winding-Up Petition, and also has a County Court Judgement (CCJ) of £21,866 outstanding against it. Now, a new company, Kinglong UK Limited, has been created with Colin Matthews as MD, and is reported to start trading from 1 May. Like its predecessors, it is also based at the same Coventry location, and owned by Island Fortitude. There is also a company, Kinglong Automotive Ltd, also owned by Island Fortitude, of which Gary Priest was appointed the sole director on 20 March. He is also a director of Barnards Coaches, Eddie Brown Tours, Brijan Tours and Bakers Travel – all also owned by Island Fortitude or Mark Ready, who officially owned Henderson Travel. It appears that the plan to buy coach operators, and use them as an outlet to place King Long vehicles, is also failing. Henderson Travel, in which Kinglong Direct staff “provided assistance”, has gone bust (routeone, News, 28 January), as has Eddie Brown Travel (routeone, News, 31 December). A proposal to revive the latter company under a new name has been aborted and an O-Licence application withdrawn. Amid worsening finances, vehicles have been repossessed from Bakers Travel and Brijan Tours – a pattern similar to that of Henderson Travel and Eddie Brown. 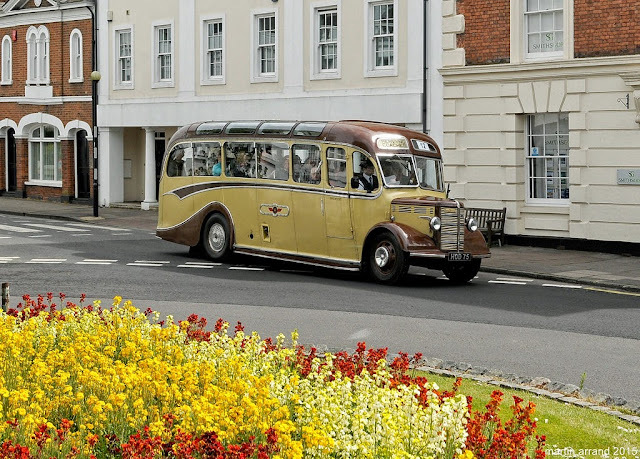 Meanwhile Harrisons Coaches (trading as Battersby Silver Grey) has been sold by its original owner, who maintains that the deal with Island Fortitude was never completed as it failed to make promised payments. Another of the Island Fortitude companies, Silcox Coaches, has been sold back to its original family. A reported deal to sell Brijan to a separate Cardiff firm earlier this month fell through, and was not completed. One of the economies of scale that could have been wrought from having operations across the country, was the ability to win contacts and service them using vehicles from other parts of the group. 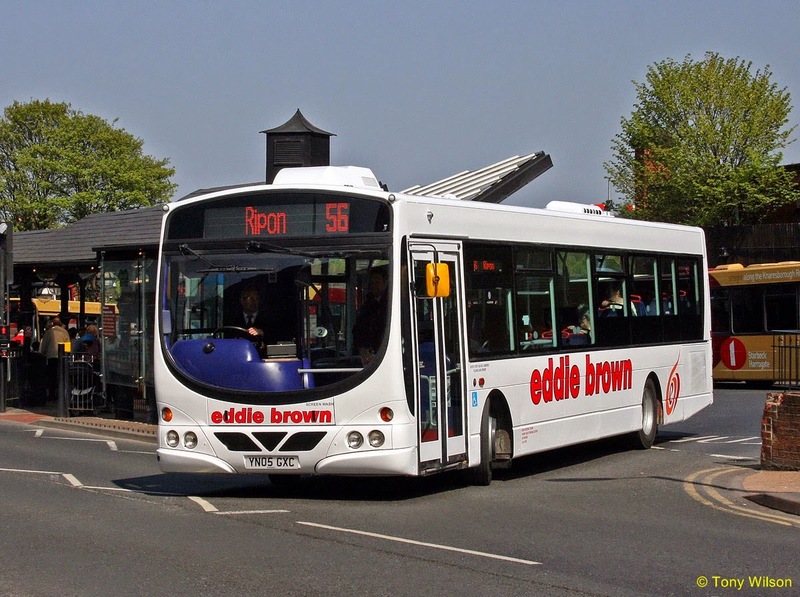 One example was a short-lived contract for staff shuttles with Jaguar Land Rover, which saw coaches based at Kinglong’s Coventry premises (as an outstation on Bakers’ O-Licence), but also with coaches and drivers from North Yorkshire-based Eddie Brown being used. In an attempt to establish facts about the current situation, routeone made a polite enquiry. None of the questions were answered; instead, Ray McNally responded by threatening legal action and claims of a “witch hunt”. END OF THE ROAD FOR EMBLINGS/JUDDS TRAVEL ? ON THE CAMPAIGN TRAIL ! !